Not all markers on the Mississippi Blues Trail are in Mississippi. Some are in states outside Mississippi. 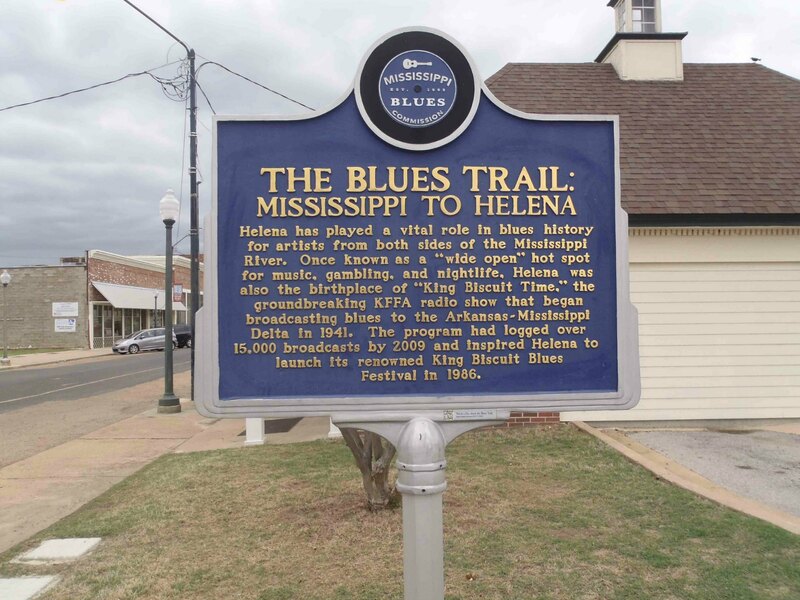 This one commemorating The Blues Trail: Mississippi To Helena is just across the Mississippi River in downtown Helena, Arkansas. It stands on Cherry Street, across from the Delta Cultural Center. 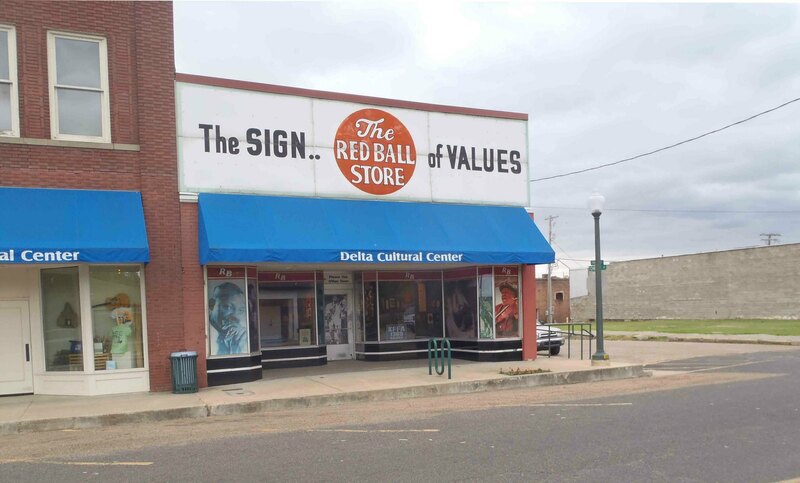 Helena, Arkansas does indeed have a storied place in Blues history but many of the original historic sites associated with the music are gone. 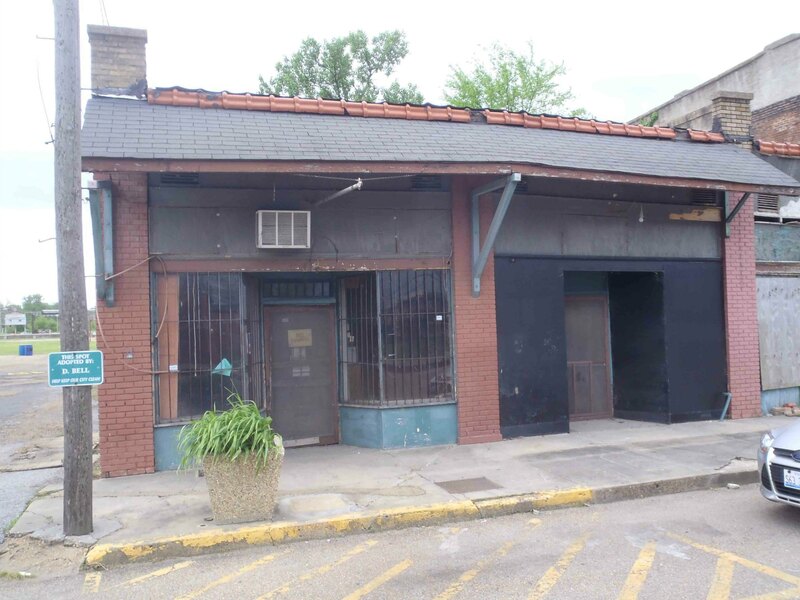 KFFA Radio is still operating and still broadcasts King Biscuit Time but its original studios, where Sonny Boy Williamson II was the first host of King Biscuit Time in 1941, are no longer standing. There is nothing at the site to commemorate the original site of KFFA and its pioneering King Biscuit Time show. 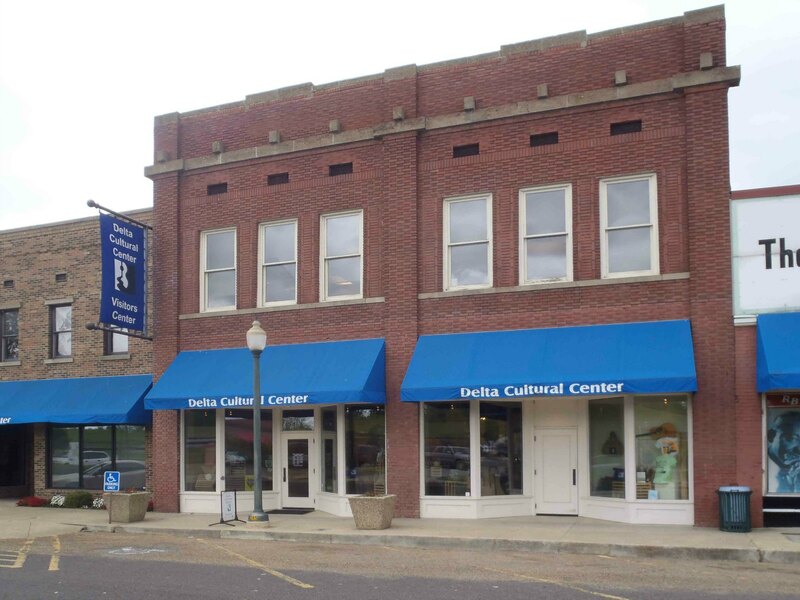 KFFA now operates from the Delta Cultural Center at 182 Cherry Street, across from the Mississippi Blues Trail marker. The Interstate Grocery Company, which first sponsored the King Biscuit Time radio show in 1941 to promote its King Biscuit Flour, is no longer in business and its former business premises has been demolished. The Interstate Grocery Company, which sponsored the King Bisquit Time radio program, once stood here at Phillips Street and Walnut Street in downtown Helena, Arkansas. The photo above shows the vacant lot at the intersection of Phillips Street and Walnut Street where the Interstate Grocery Company’s building once stood. This site is just one block from the Mississippi Blues Trail marker on Cherry Street. The last time we visited Helena there is nothing at the site to commemorate the Interstate Grocery Company and its role in Blues history. Sonny Boy Williamson II lived in Helena, Arkansas at the time of his death in 1965. 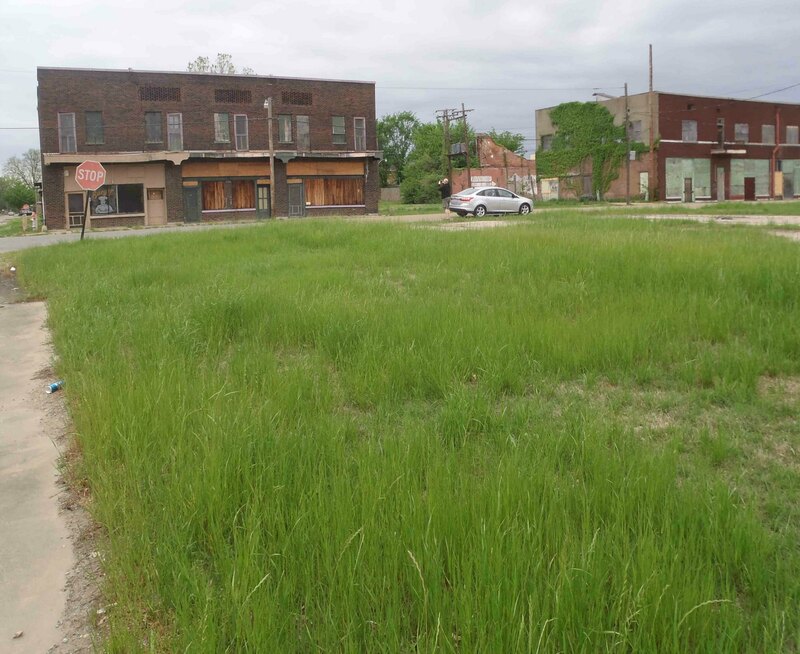 The boardinghouse at 429 1/2 Elm Street, where he died, and where he had lived off and on over the years during his visits to Helena, has been demolished and the site is now a vacant lot, about three blocks from the Mississippi Blues Trail marker on Cherry Street. The last time we visited Helena there was nothing at the Elm Street site to commemorate Sonny Boy Williamson. But, since our last visit, the Mississippi Blues Trail has erected a marker commemorating Sonny Boy Williamson In Helena on Phillips Street between Walnut Street and Market Alley.. 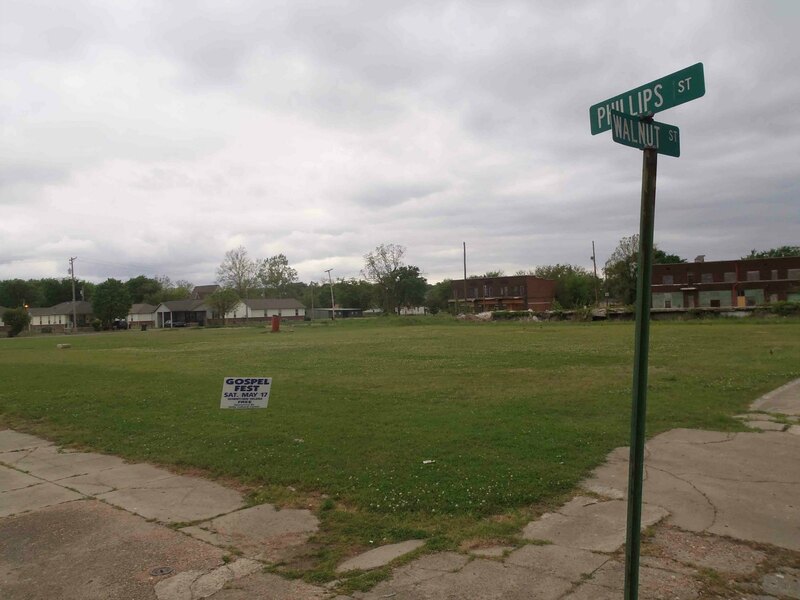 There are other existing sites within a few blocks of the Mississippi Blues Trail marker on Cherry Street which may be of interest to Blues fans, but they are in derelict condition. As one example, the two photos below show the building which includes the storefront of 119 Missouri Street, which, in the 1920’s and 1930’s, housed a jook joint called the Kit Kat Cafe. Robert Johnson lived in Helena at various times in the 1920’s and 1930’s and is reported to have been a regular performer at the Kit Kat Cafe. 119 Missouri Street in downtown Helena, Arkansas. This building once contained the Kit Kat Club where bluesmen like Robert Johnson played. 119 Missouri Street in downtown Helena, Arkansas. This space once contained the Kit Kat Club where bluesmen like Robert Johnson played. The building at 119 Missouri Street which once housed the Kit Kat Cafe is empty and appears derelict and abandoned. There is nothing commemorating Robert Johnson at this site. 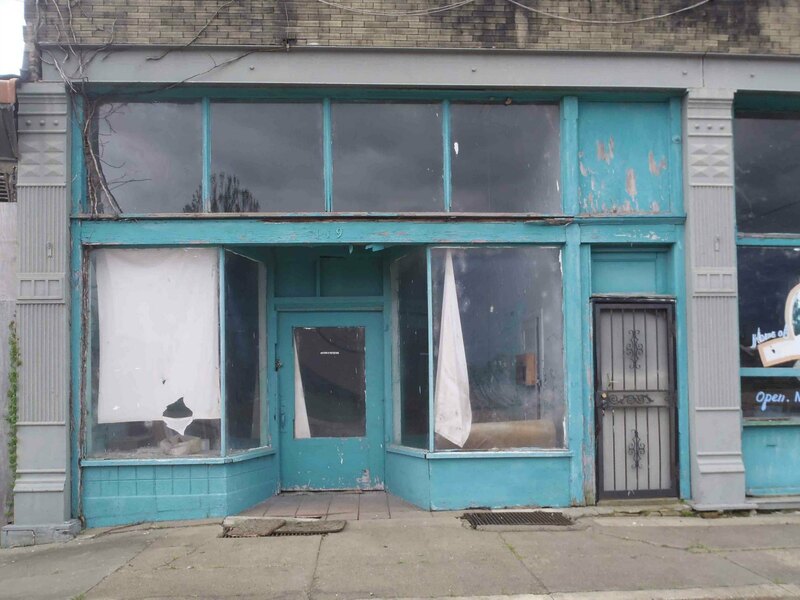 Unfortunately, Helena, Arkansas has fallen on tough economic times and the evidence of economic hardship is plainly visible throughout the town in the numerous vacant lots and empty, deteriorating buildings. The documentary The Search For Robert Johnson features some scenes shot in Helena. In one scene John Hammond and Johnny Shines are recreating a 1920’s-30’s cutting session, in which blues musicians would play on opposite street corners and try to attract the attention of passersby away from other street musicians and toward themselves. In that scene, John Hammond is playing in front of the derelict building at 201 Frank Frost Street (see the photo below) while Johnny Shines is playing on the corner directly across the street in front of the building that contains the former Kit Kat Cafe at 119 Missouri Street (see above). 201 Frank Frost Street, at the corner of Missouri Street, in downtown Helena, Arkansas. 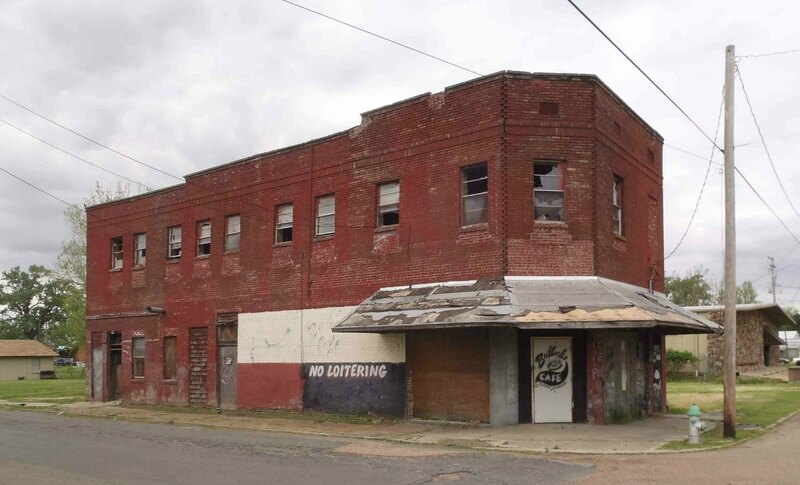 The building was featured in the documentary In Search of Robert Johnson. Next door to the former Kit Kat Cafe, the building at 113 Missouri Street was once a liquor store called JB’s Spirit Shop, which was used in Chris Hunt’s 1992 documentary, The Search For Robert Johnson. This documentary featured bluesman Johnny Shines, who used to play with Robert Johnson, being interviewed in JB’s Spirit Shop. The building is now vacant, boarded up and seemingly derelict, as shown in the photo below. 113 Missouri Street in downtown Helena, Arkansas. 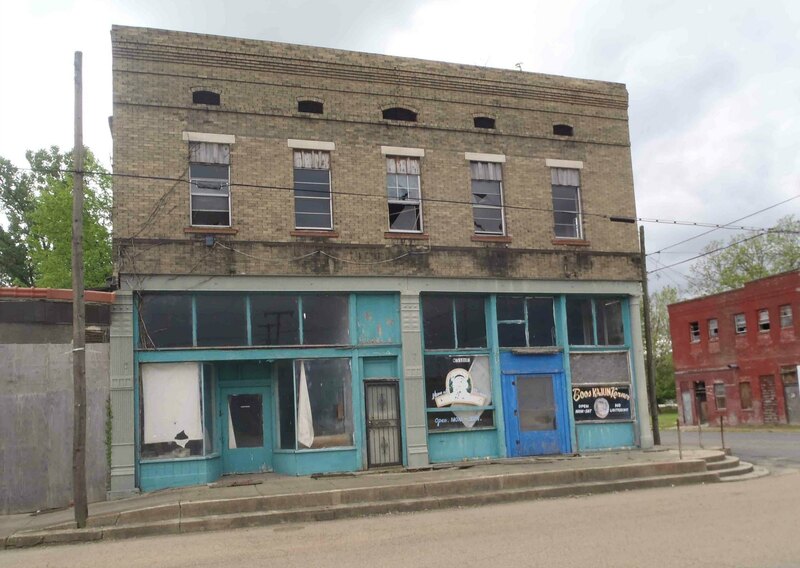 This building was featured in the documentary In Search of Robert Johnson. Helena, Arkansas has a rich musical heritage and that history, with the potential tourism by music fans which it could potentially generate, is perhaps the way to turn around the town’s deterioration. It would be very encouraging to see Helena find ways to preserve those music history sites which still remain and use them to attract Blues fans to the town. Hopefully, that can be done before these remaining Blues history sites in Helena are gone, like so many of the others.